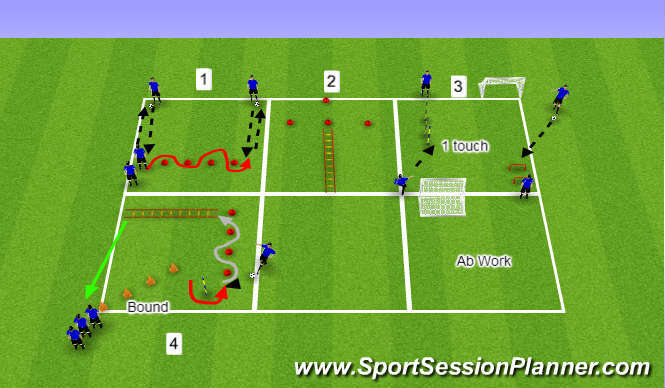 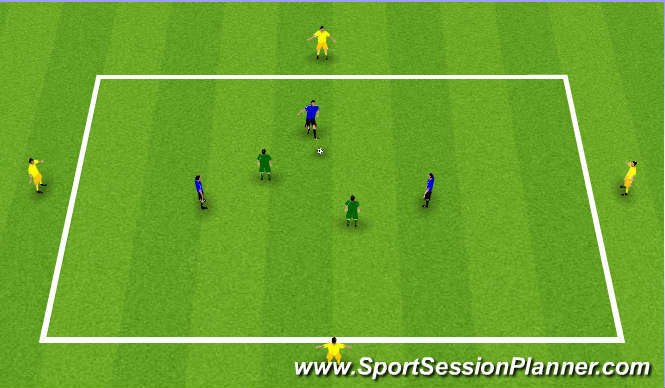 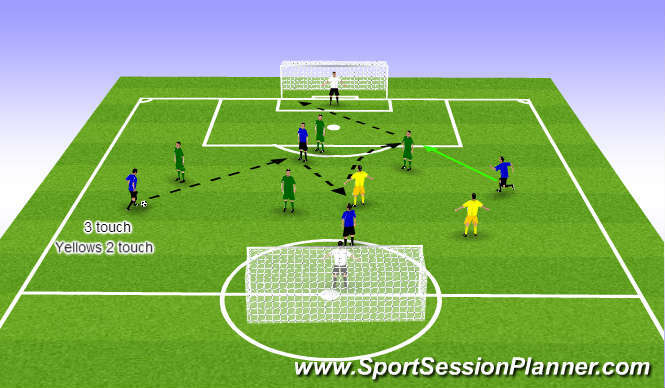 Exercise 3: All one touch, follow your pass. 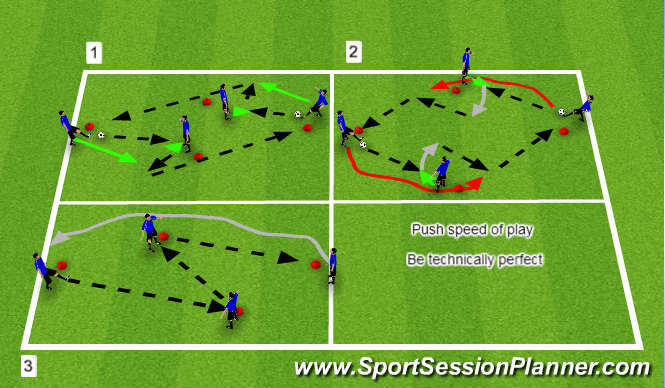 Dribble at pace back to start. 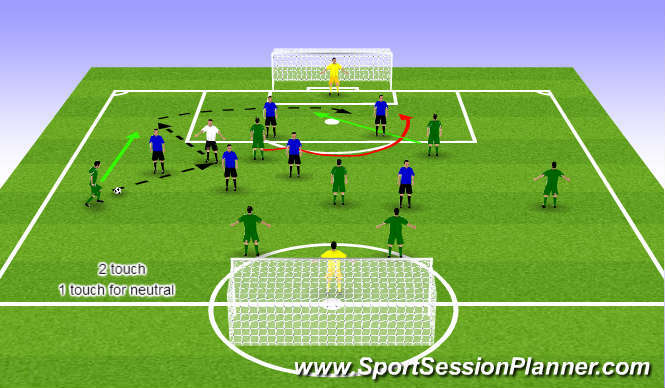 - When to combine: Wall pass, overlap, up back thru, 3 man combination, etc.